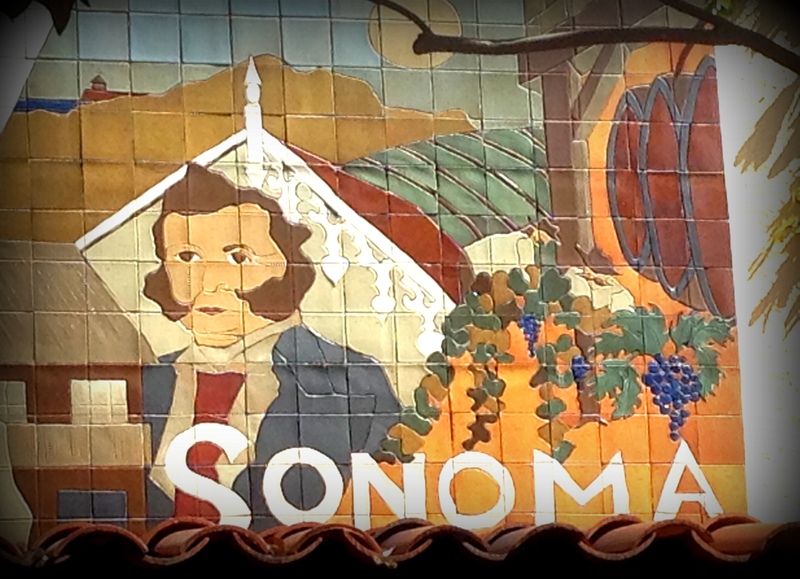 The Tin Man and his quest for wine has lead him to Sonoma…..Sonoma is considered the birthplace of wine-making in California, dating back to the original vineyards of Mission San Francisco Solano about that in a later then improvements made by Agoston Haraszthy, the father of California viticulture and credited with introduction of the Zinfandel/Primitivo grape varietal. 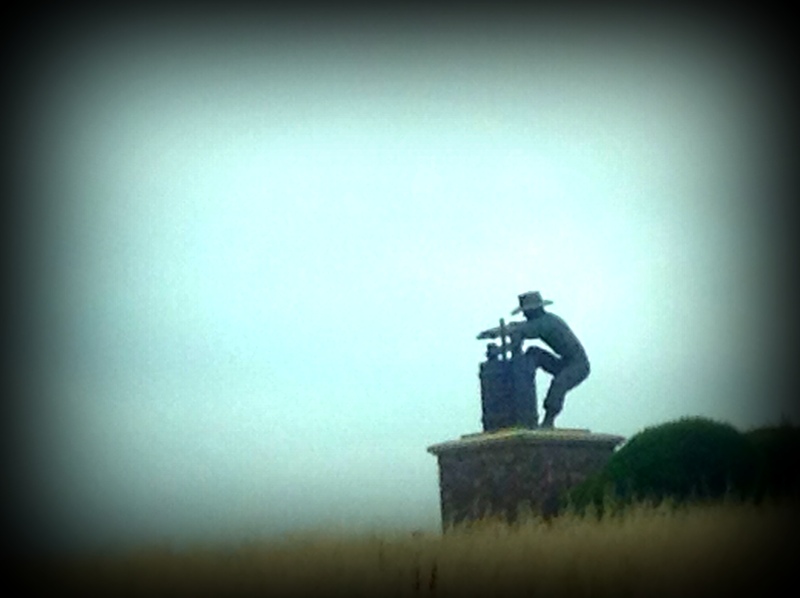 The drive into Sonoma takes one past a most beautiful sculpture of a man working a wine press, it is quite lovely against the horizon…. 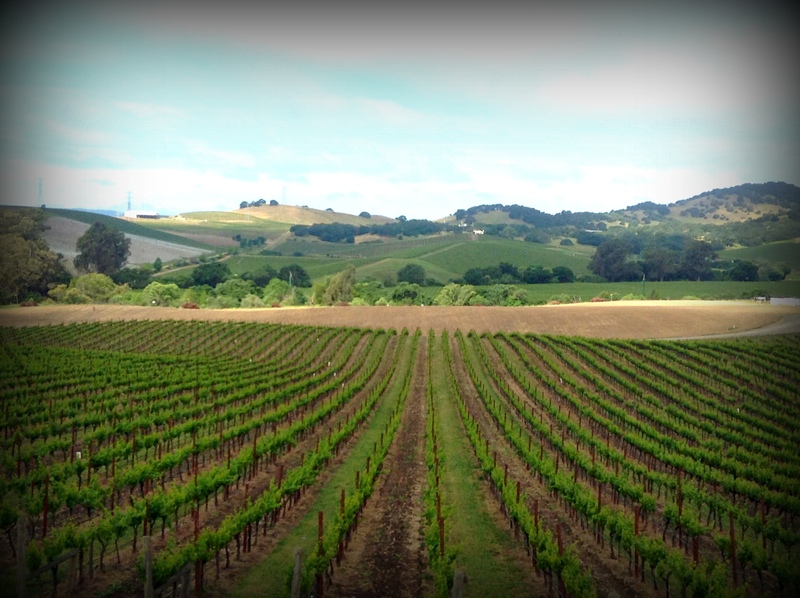 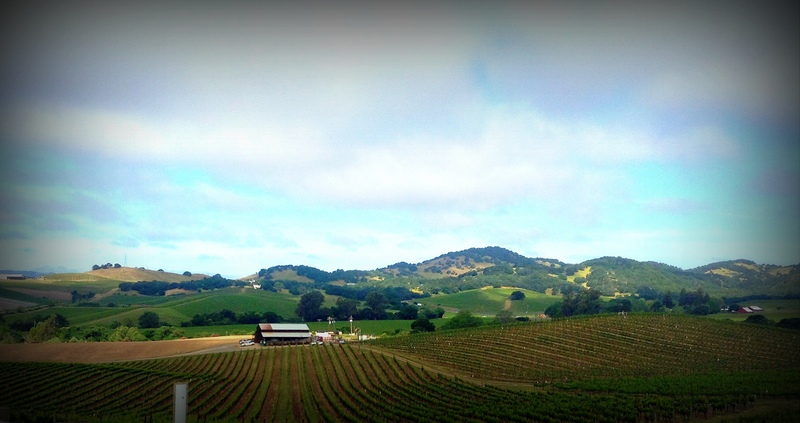 Every hill is covered by vineyards and prestigious winemakers…. 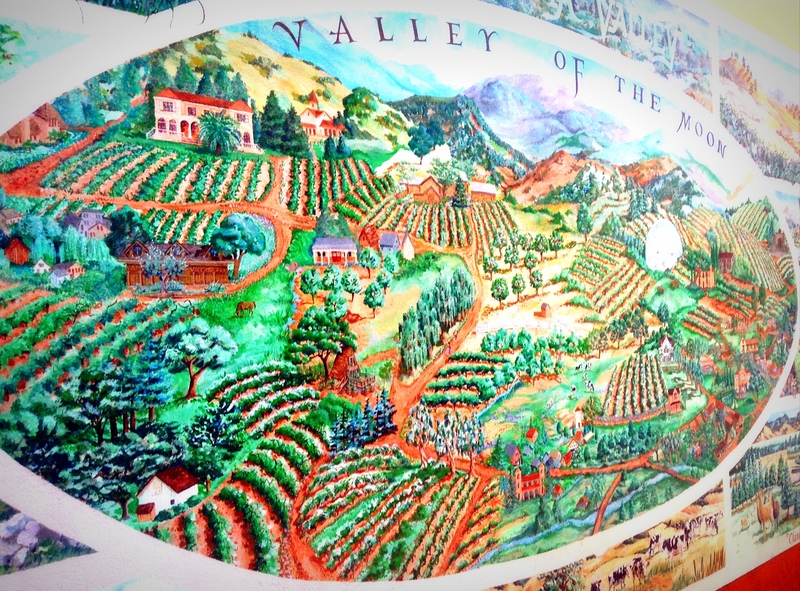 El Pueblo de Sonoma was laid out in the standard form of a Mexican town, centered around the largest plaza in California, 8 acres in size. 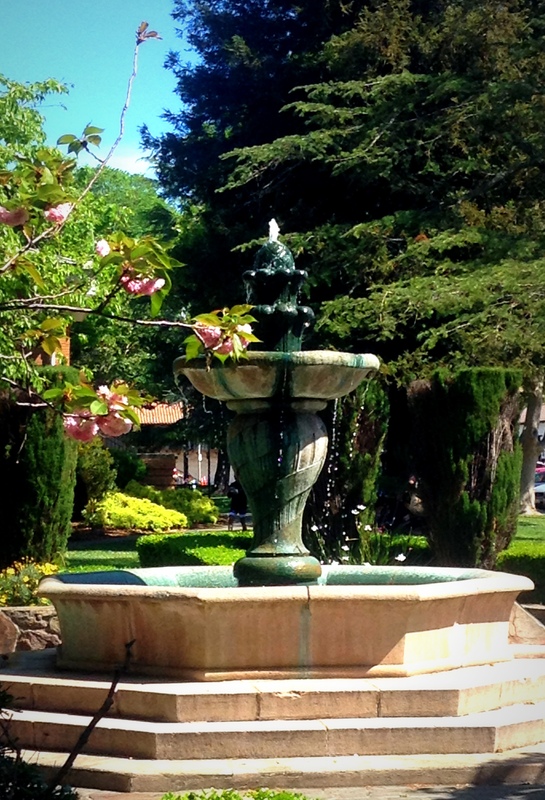 This plaza is surrounded by many historical buildings, including the Mission San Francisco Solano, Captain Salvador Vallejo‘s Casa Grande, the Presidio of Sonoma, the Blue Wing Inn, the Sebastiani Theatre, and the Toscano Hotel. 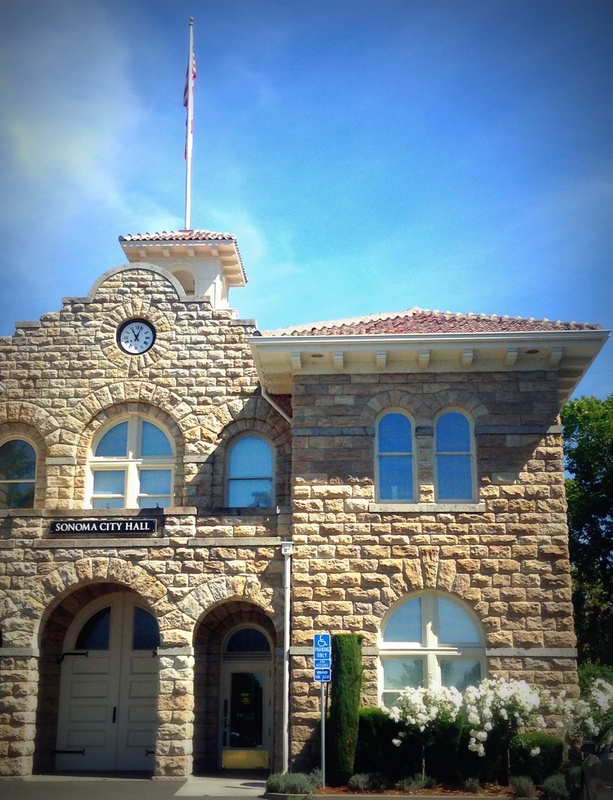 In the middle of the plaza, Sonoma’s early 20th-century city hall, at the plaza’s center and still in use, was designed and built with four identical sides in order not to offend the merchants on any one side of the plaza. 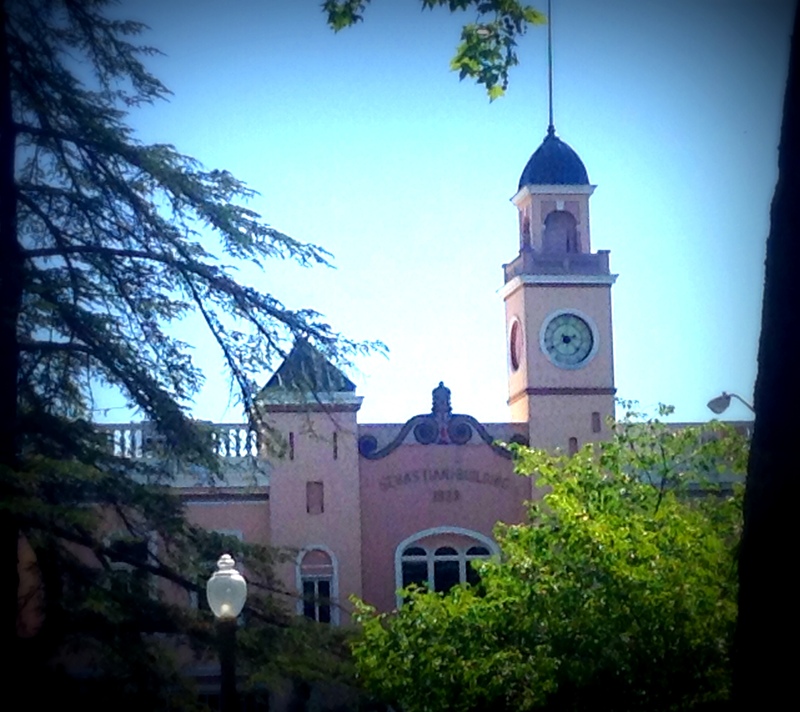 The plaza is a National Historic Landmark and still serves as the town’s focal point, hosting many community festivals and drawing tourists all year round. 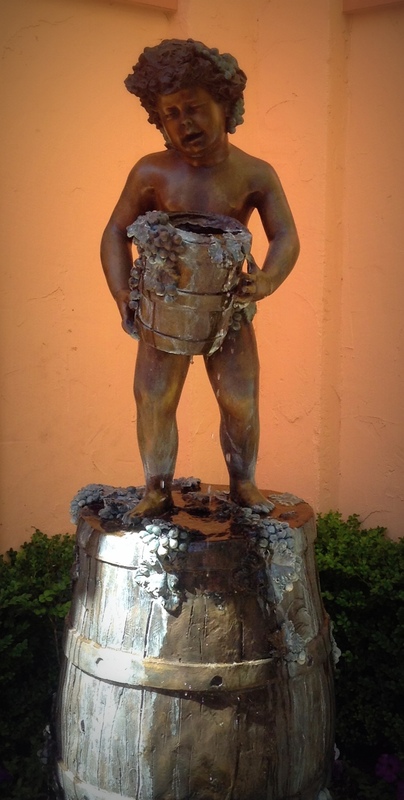 Well don’t you know Tin Man was expecting no less from La Salette…. 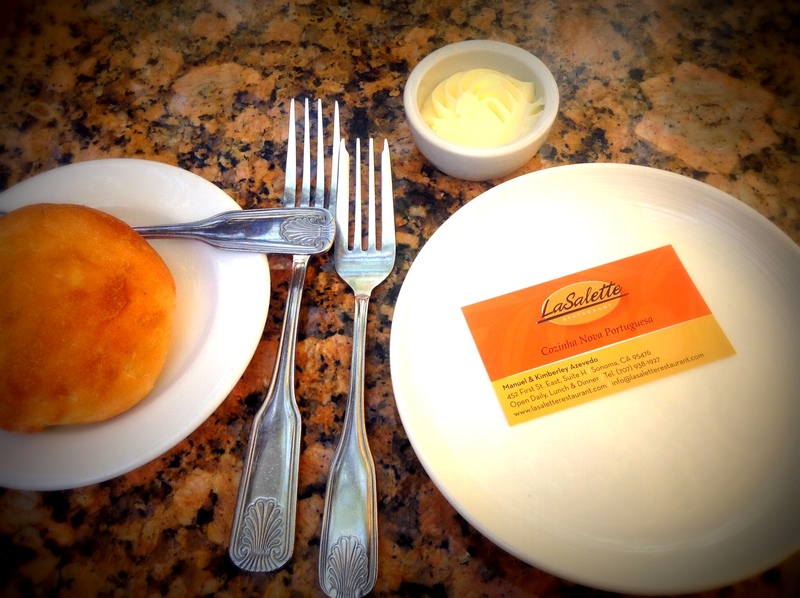 The lovely Portuguese Bread….a little sweet ……of so delightful…. 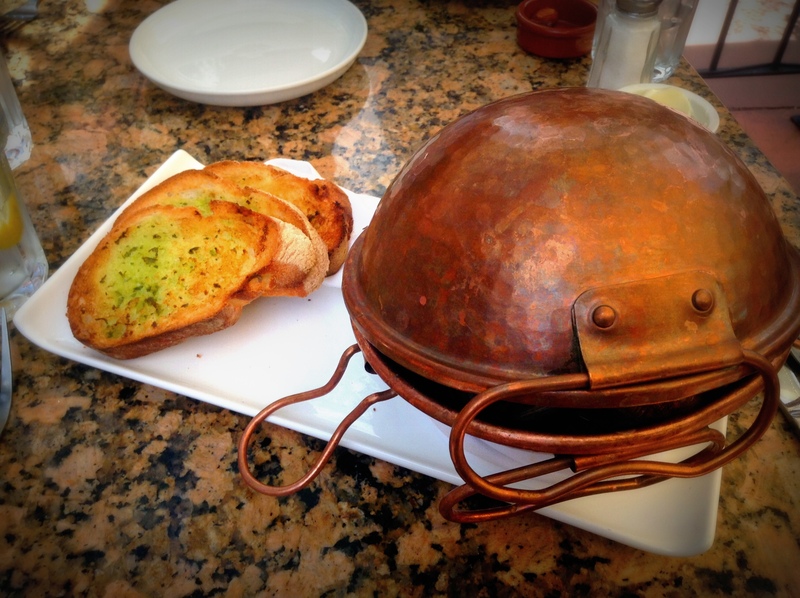 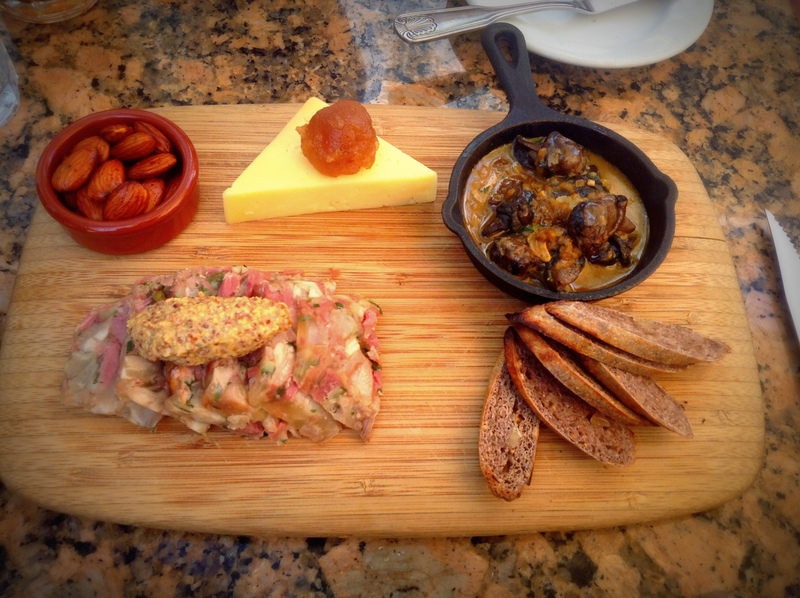 Then the starters……….of for the love of Hestia…..what delights…. 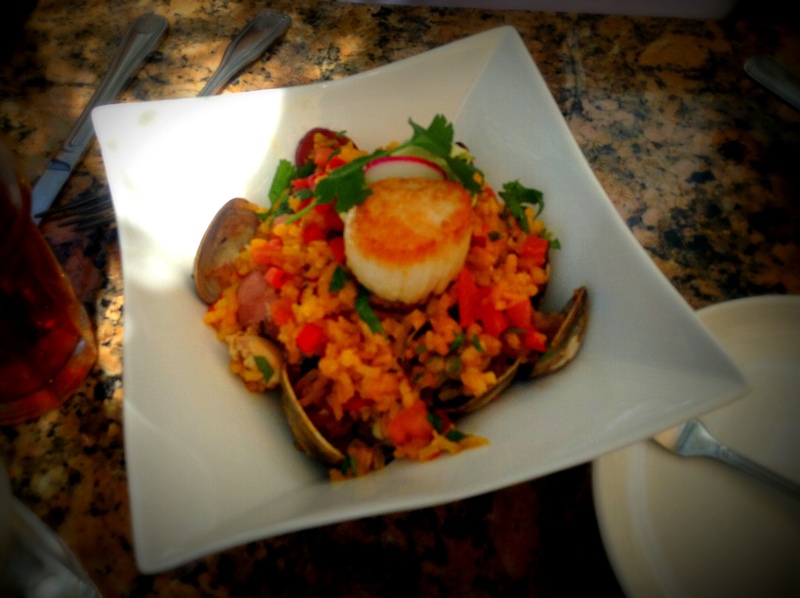 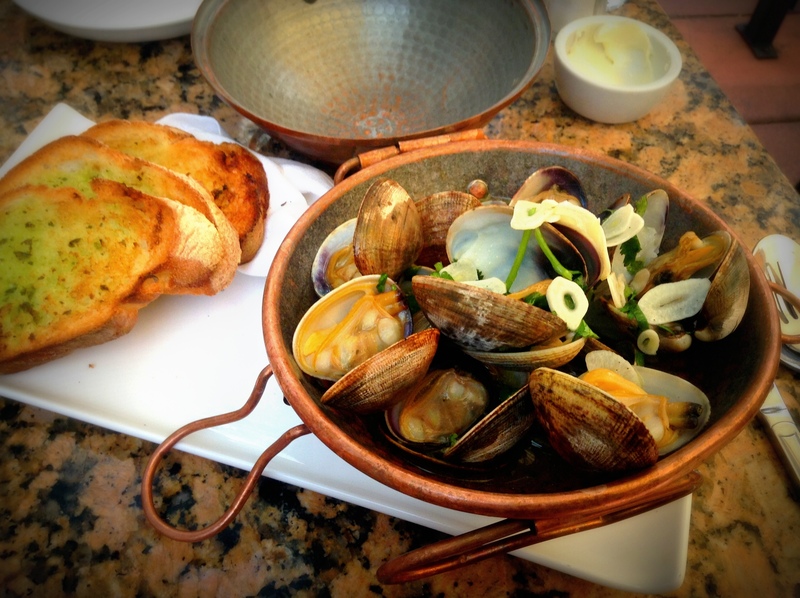 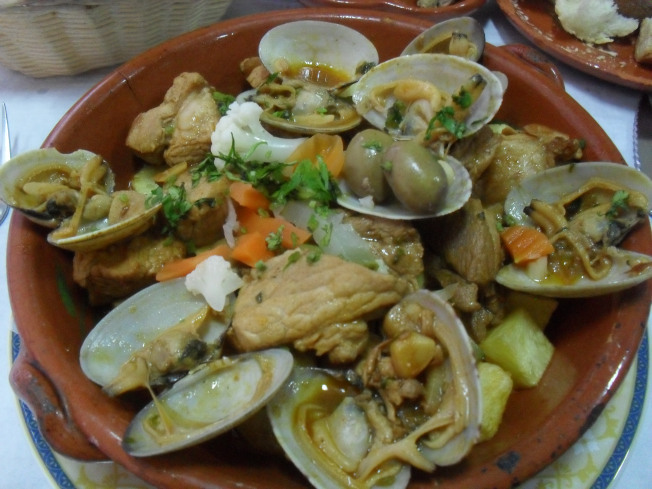 Then the Clams………wow what a presentation….. 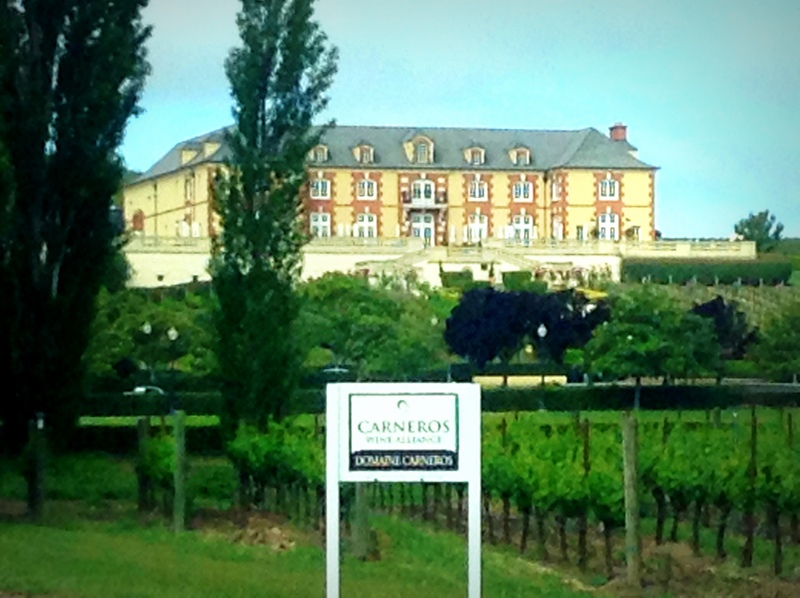 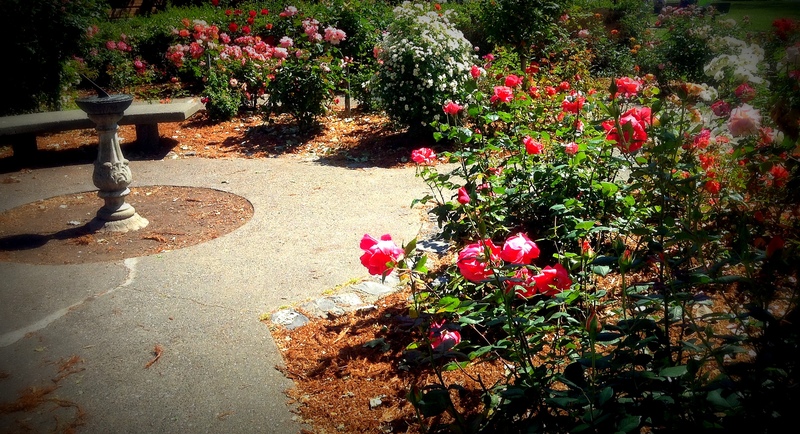 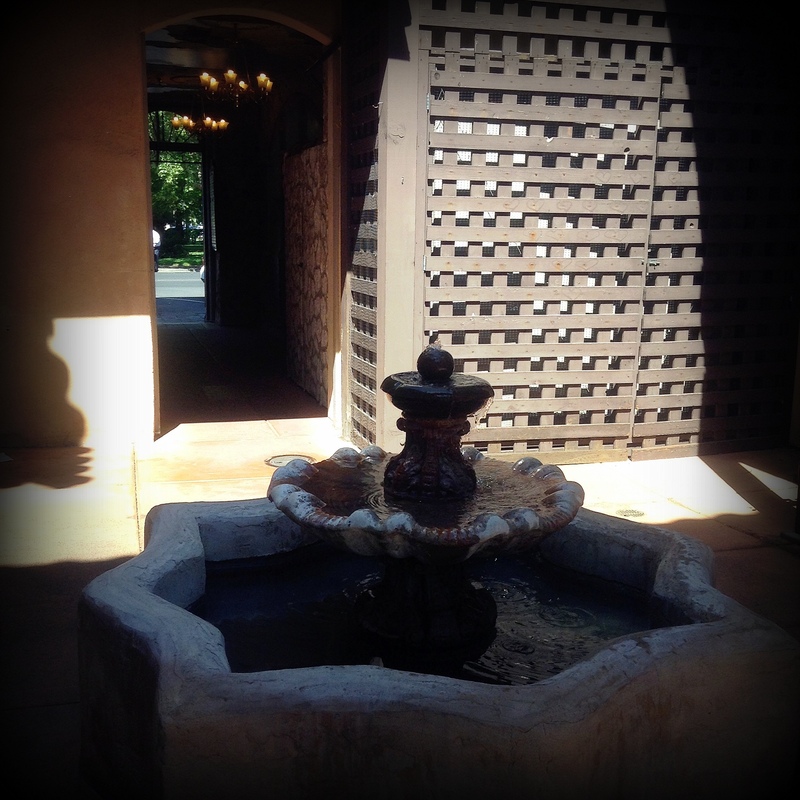 It was a most marvelous visit to the Plaza of Sonoma, hope you enjoyed coming along….